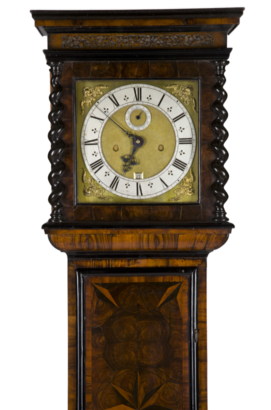 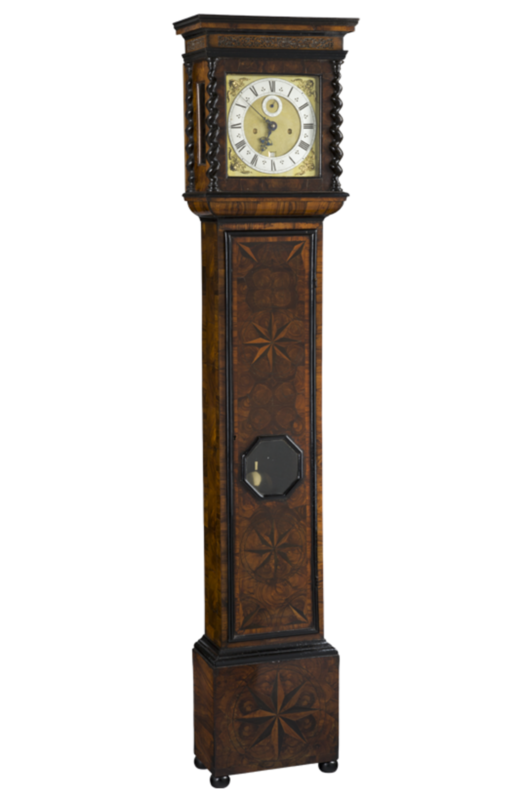 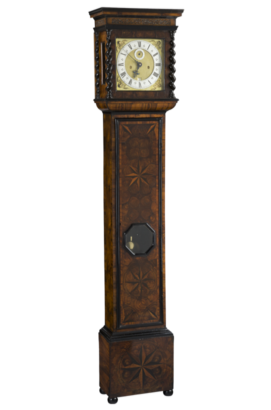 A fine 17th century Charles II Olivewood and star parquetry longcase clock by this eminent maker. 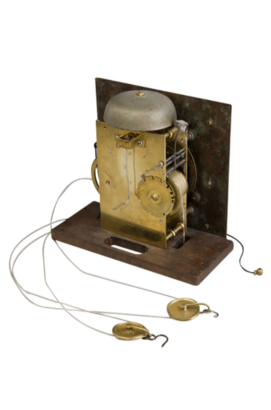 The 8 day movement with anchor escapement and outside countwheel striking. 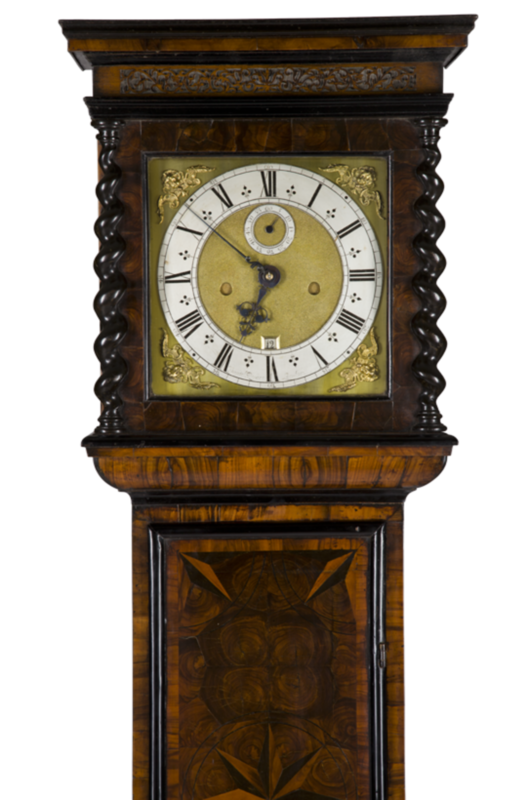 The 10 inch dial with fine hands and gilt spandrels, signed, Dan Quare, Londini, fecit. 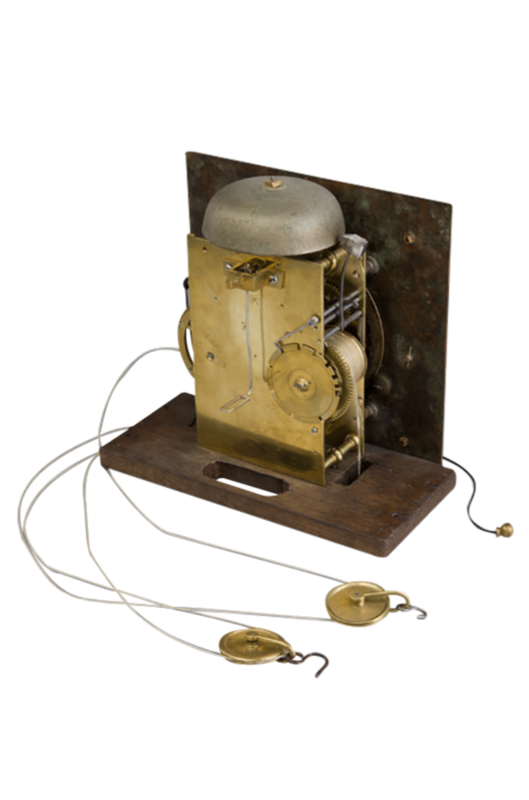 The case with a rising hood and spoon lock.